Psychic Medium Phone Readings - Is the Accuracy the Same? Personal Growth from SelfGrowth.com-- SelfGrowth.com is the most complete guide to information about Personal Growth on the Internet. 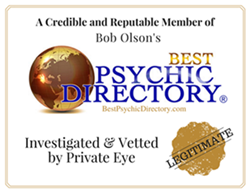 Please be advised that no psychic reading can predict, forecast, diagnose or provide information with absolute certainty. No guarantees or assurances of any kind are given and Debora will not be held accountable for any interpretations or decisions made by recipients based on information provided during readings. For entertainment purposes only. For medical concerns, please consult with a physician. For legal matters, please contact an attorney or law enforcement. Copyright 2016, Debora Murray. All rights reserved.